Rental customers are allowed to take lessons on the property with an instructor of their choosing. The person reserving the stock time is required to pay the rental fee to Balgrae and must make their own arrangements for the time/payment of the instructor. Instructors are invited to inquire about giving lessons on the property on a regular basis. Carol Donnelly is the closest Balgrae has to an Instructor In Residence. Carol has been working with animals most of her adult life, having trained with the US Equestrian Team and competed for the US in Europe for intercollegiate competition. She worked extensively with green horses while at UNH, breaking the thoroughbreds to saddle and the Morgans to harness. Several went on to win halter and pleasure driving National Championships. In the dog world, Carol has trained, competed and taught many disciplines including Obedience, Agility and Herding, and this experience has enabled her to have a wide ranging approach to herding training. 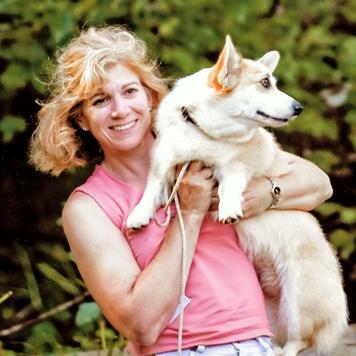 Since 2003, she has trained and trialed several dogs to the advanced level, and earned the first Triple Championship with a Pembroke Welsh Corgi (conformation, Herding and Agility championships with the same dog). Carol has been teaching herding since 2007, and has successfully worked with handlers of many herding breeds including Border Collies, Aussies, Collies, Tervs, Cattle Dogs, Shelties and Corgis (both types!). From rank novice to more experienced teams, she brings a thoughtful, intellectual approach to training. By constantly putting the end-game picture in the handlers' mind, she strives to develop the 'thinking' herding team. She is an AKC licensed herding judge and an ACT (agility competency Test) sanctioned evaluator. She is also an active 4H volunteer, as both a director of the Norfolk County Council and as a Leader for the Thunder Hill Canine Encounters Club for over 5 years. Carol constantly seeks to improve her own repertoire of tools for training dogs and handlers alike by attending seminars and lessons regularly, and bringing these new concepts to her students. By using positive methods to develop the herding TEAM, her students have successfully reached their individual goals.